Recently we got this video leak of the unbelievable Xiaomi Mi Mix 2 which shows us that Xiaomi is not done yet.The new Mi Mix 2 is beyond anything. It's looking much thinner than Mi Mix with much less bezels. 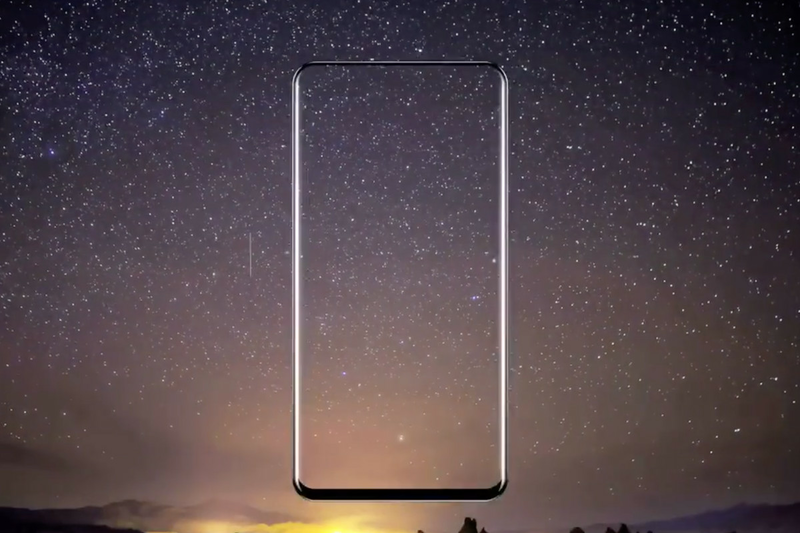 This might have higher screen to body ratio beating iPhone 8 and Samsung S8.It is just screen with no side bezels,the only bezels it has is at the bottom. The original Mi Mix is purely futuristic but Mi Mix 2 is totally unbelievable. It is rumoured that the Mi Mix 2 will have smaller display of 5.5 inch instead of 6.4 inch which makes it more comfortable for one hand usage experience. 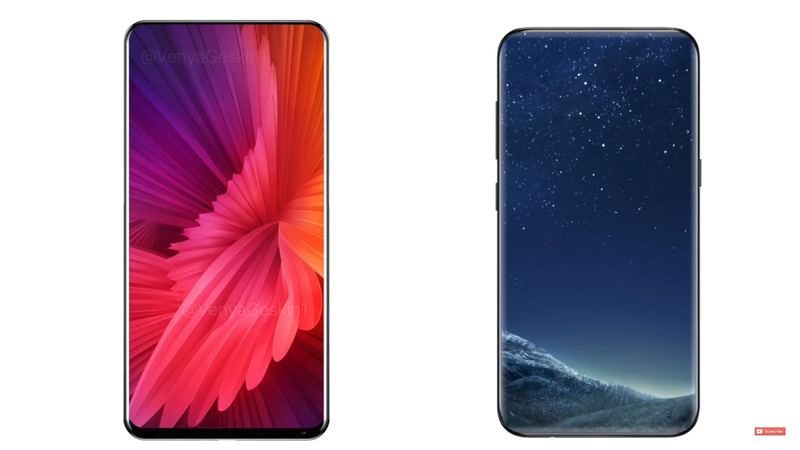 Above is the comparison of Mi Mix 2(left) and concept of Galaxy S9(right), apart from the curved display Mi Mix 2 is too close, but we can't say what Samsung is upto.This is next level device. The recent rumours says that the mi mix 2 will have 93-95% screen to body ratio which is higher than any other device. The original Mi Mix had 84.16% screen to body ratio so compared to that it's one of the most amazing device. 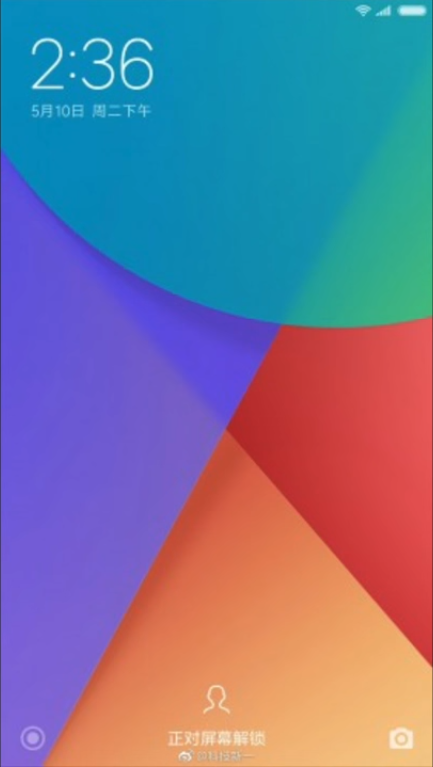 A new leak shows the lock screen of Mi Mix 2 which shows the face icon which means the phone will feature the face scanner and source states its going to be 3D face scanner this feature will be implemented in the MIUI 9 and will arrive with this device.This device also comes with Snapdragon 835 chipset and 13mp front camera and 20mp rear camera and will be available in 4GB/6GB/8GB RAM formats. As far as the announcement of this phone goes its coming next month in September.